We offer a large selection of sports equipment for your school gymnasium. 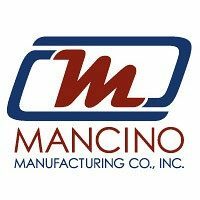 Our manufacturing partners produce quality seating, netting, and dividers at a fair price. Let us help you with your order today. School gym equipment: wall pads, netting & bleachers. A.T. Equipment Sales sells school gym equipment throughout NY to K-12, universities and colleges. 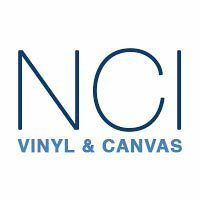 We offer large single items such as a gym curtain room divider or a complete indoor bleacher set up. Many customers purchased wall padding for school gyms from us – some even got their school colors and mascot painted on! We do also sell and install smaller items like basketball backstops and protective netting. All your school gymnasium equipment needs in one place. Your school gym is where you can root for your home team or host a large meeting. For many colleges, schools and universities, they appreciate having their gymnasium outfitted with custom wall pads, that sport their school colors and team mascot. We can layout the indoor wall pads to cover every wall, or just certain walls. We can even pad corners, posts and bases of basketball equipment. If you’re looking to seat large groups, safety is paramount. We can order, install and service your indoor bleacher seating. We adhere to ADA compliant seating and can make the necessary upgrades to bring your indoor bleacher seating up to code. For your sporting equipment, we offer the following items: basketball backstops and netting, volleyball netting and equipment, scoreboards, indoor batting cages and walk-draw curtains (gym curtains). If you’re looking for indoor athletic equipment for your school, college or university and are in New York, give us a call at our Scarsdale location (914) 472-7222. We can come to your location if you’re within Sullivan County, Suffolk County, Dutchess County, Putnam County, Westchester County, Orange County, Nassau County, Rockland County or Ulster County. Let us help you get all the PE equipment for your school today, we look forward to hearing from you! 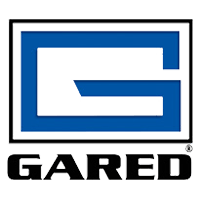 Gared Sports designs and manufacturers many gym sporting equipment products. Irwin Seating’s plastic seating module is a preferred product for many school gyms. Shown here Infiniti model. We’re here to help. Contact us here. A.T. Equipment sells school equipment and furniture to schools, colleges and universities throughout New York State. Many of the products are purchased on NY state and BOCES contracts. Our capability to manage large projects efficiently is because of our hands-on approach and attention to detail.